600sf patio addition to an existing traditional home. 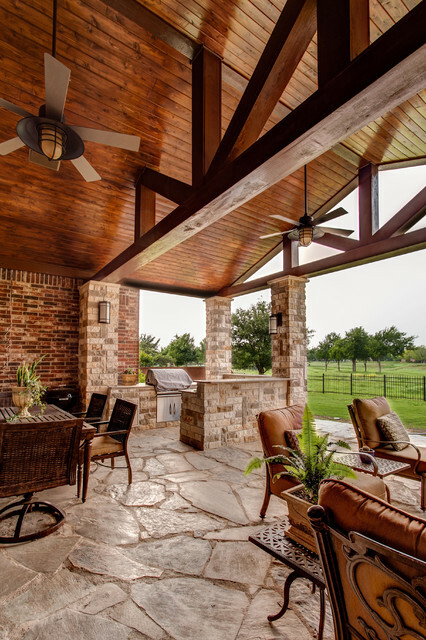 Use of stone for patio, benches and columns. Stained tongue & groove pine ceiling. Heavy timber beams.